Watford four piece The Spitfires are on the road touring in support of their latest album and headline the Roadmender on Saturday. The band released their third album Year Zero in July via Hatch Records. The LP followed their 2015 debut Response and 2015’s A Thousand Times - which both peaked at number six in the independent charts. 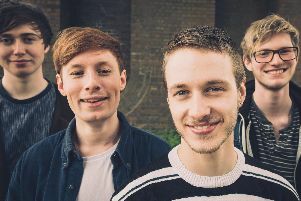 The Spitfires comprise singer Billy Sullivan on lead vocals and guitars, Sam Long on bass, Matt Johnson on drums and George Moorhouse on keyboards. They combine elements of indie, reggae, ska, punk and soul. They headline the Northampton venue on Saturday, December 8. Doors open at 7.30pm, tickets cost £13.50 before fees.